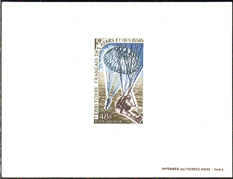 1045 EL AFARS & ISSAS (1968) Skin diver*. Waterskier*. Deluxe sheet. Scott No C52, Yvert No PA58. 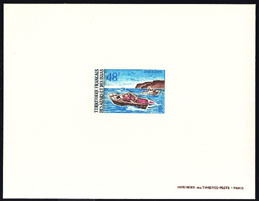 11198 EL AFARS & ISSAS (1970) Motorboats*. Deluxe sheet. Scott No 344, Yvert No 363. 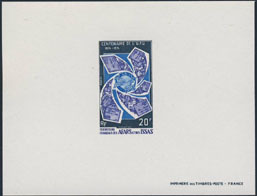 19111 EL AFARS & ISSAS (1970) Poignard afar*. Epreuve collectif. Scott Nos 338-41, Yvert Nos 357-60. Difficile à trouver! 2816 EL AFARS & ISSAS (1974) UPU emblem*. Letters*. Deluxe sheet. UPU Centenary. Scott No 374, Yvert No 388. 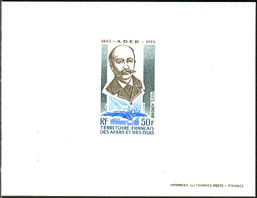 9559 EL AFARS & ISSAS (1975) Clement Ader*. Concorde*. Bat-winged airplane*. Deluxe sheet. Scott No C88, Yvert No PA108. 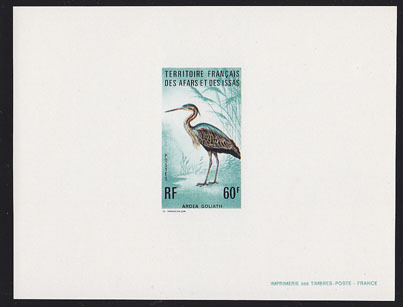 18318 EL AFARS & ISSAS (1975) Goliath heron (Ardea goliath)*. Deluxe sheet. Scott No 416, Yvert No 412. 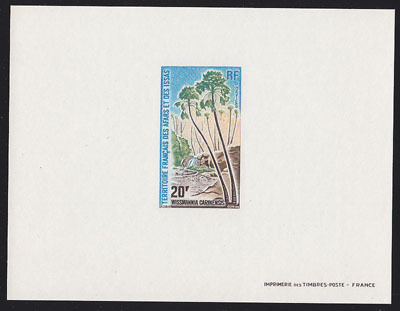 19056 EL AFARS & ISSAS (1975) Wismannia carinensis*. Deluxe sheet. Scott No 421, Yvert No 415. 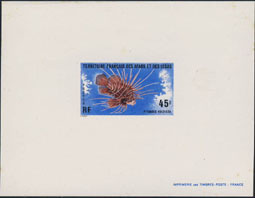 1242 EL AFARS & ISSAS (1976) Pterois radiata*. Deluxe sheet. Scott No 428, Yvert No 435. 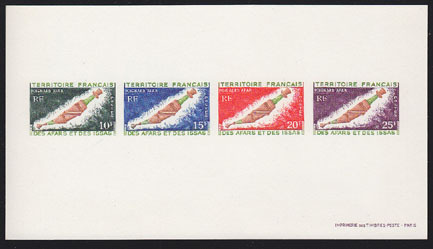 18507 EL AFARS & ISSAS (1977) Gaterin*. Barracuda*. Set of 2 deluxe sheets. Scott Nos 437-8, Yvert Nos 441-2. 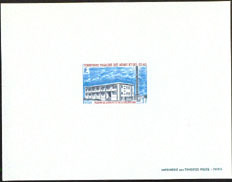 11600 EL AFARS & ISSAS (1979) Transmission tower*. Radio-television station*. Deluxe sheet showing the radio/television stations and transmission tower. Scott No 324, Yvert No 343. Hard to find!